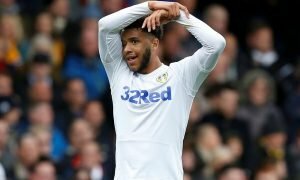 Former Elland Road hero to be reunited at Leeds? | The Transfer Tavern | Where football transfer rumours fly or die! 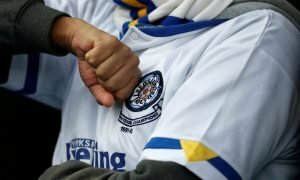 Former Elland Road hero to be reunited at Leeds? It’s not often you see happy Leeds United fans in the Football Transfer Tavern but news that Max Gradel could return to the club in January has left them with broad smiles as they enjoy their post-work pint. A report in The Sun suggests that Gradel will become a target this winter if Neil Warnock fails to secure Jerome Thomas on a permanent deal from West Bromwich Albion. Gradel was sold to St. Etienne for £1.5 million against the wishes of the Elland Road faithful but it now appears that the Ivory Coast international is open for a return to England with Leeds reportedly leading the race. 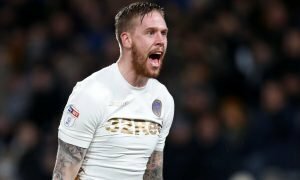 He has since won plaudits for his impressive performances in Ligue 1, featuring in all their league games this season, and it would be considered something of a coup if Leeds can agree a deal to bring him back to West Yorkshire. Warnock’s side currently lie in 14th place in the Championship and it is hoped that a productive January transfer window could see the team mount a successful challenge for the play-offs. Would Gradel really return to Elland Road? Vote in our polls below.